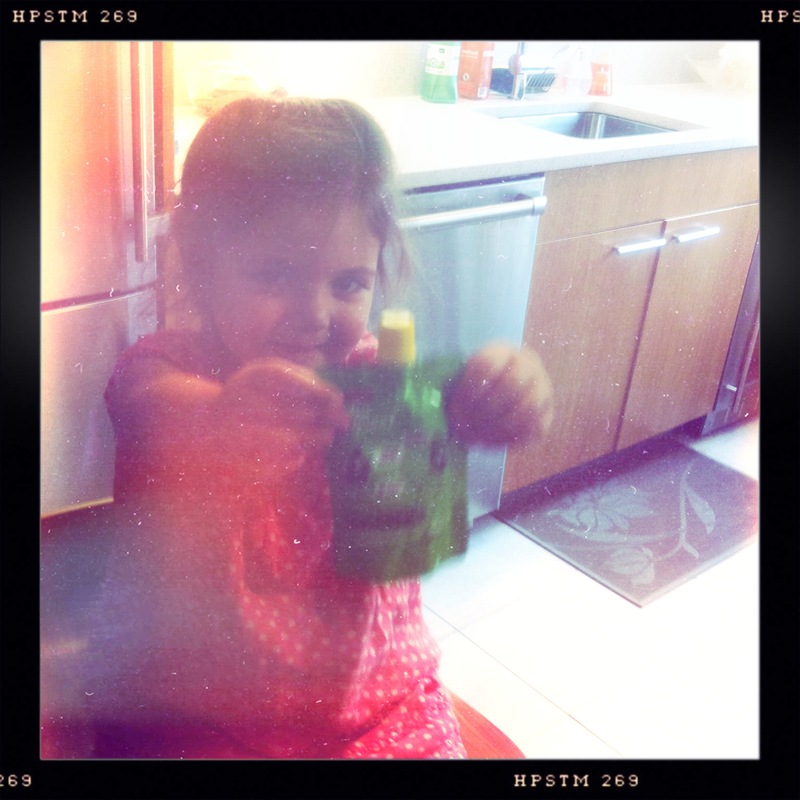 My children are insane for these: GoGo squeeZ squeezable, resealable, 100% natural applesauce snacks. My kids actually shake when I pull these out of the grocery bag or pantry. I love them because they are real fruit and easy to bring with us everywhere. I love GoGo squeeZ because they are at Summer Streets this Saturday, August 20, donating 2,000 snack pouches to City Harvest, a leader in feeding hungry New Yorkers. For every Four Square check-in from 7am to 1pm, at the GoGo squeeZ Free Play Zone in Foley Square (downtown Manhattan), GoGo squeeZ will donate an additional snack pouch to help feed your hungry neighbors. Come by for fun activities and eco-friendly crafts for the family. Help City Harvest feed New Yorkers. Give Away: I will be giving three of Mama One to Three’s readers one whole yummy set of GoGo squeeZ–one of each of the five varieties: AppleApple, AppleBanana, ApplePeach, AppleStrawberry and ApplCinnamon. To Enter: Subscribe to Mama One to Three on the home page of this blog, and leave a comment here telling me what your favorite easy, kid-friendly, on-the-go snack is! If you are already following Mama One to Three, just leave a comment letting me know! “Like” Mama One to Three on Facebook and leave a comment here in the comments section; or leave a comment letting me know you already do. Follow Mama One to Three (@mamaonetothree) on Twitter and leave a comment here; or leave a comment that you already do follow me. Follow GoGo squeeZ (@gogosqueez) on Twitter and leave a comment here letting me know; or let me know that you already do. Give Away ends Thursday, August 25 at 11:59 pm Eastern Time. Winner will be chosen through Random.org and notified via e-mail or Twitter account. My favorite on the go kid snack is an apple. Lest you think I’m one of those virtuous moms, I should tell you that when I hand my kids an apple and roll them out the door in the stroller, I smile as I picture those roasted pigs with the apple stuffed in their mouth. I don’t think my children get much nutritional value out of it (probably negative points for all the times the apple gets dropped, rolls across a filthy sidewalk, and goes right back into the pie hole) but as they are quietly struggling to mouth away at it, we roll down the street in peace, and I get to enjoy those smug, approving, nods from all those a-holes that judge mothers they see on the street. the funny thing about these snacks are that my daughter loves the packaging. she wants to hold them, has to hold one, every time she sees them. however, my daughter hates applesauce. she’s known at the park as the kid who eats veggies (she always has a snack bag of cut up carrots, celery and cucumbers — occasionally yellow and orange peppers) — but for whatever reason she won’t go for the sauce! i have them on hand for visitors and am hoping one of these days the peer pressure will get to her. until then, we covet them for the packaging. My kids are all about Cliff Kid bars & squeezies, of course! They’ll eat just about anything if I call it a “snack,” though. I love veggie sticks – I like to pretend that my girls are actually getting a sufficient (if not daily) dose of veggie nutrients by eating them! These days my kids prefer non-local, non-organic, processed foods that contain more than five ingredients and are wrapped in plastic packaging…sigh. So as a compromise we have settled on dried fruit bars and fruit sauce “Crushers” from Trader Joes. Both are in plastic packaging which delights them (and I must say is convenient), and they are getting some fruit which makes me happy.